Pawtucket, Rhode Island, Police said an officer used pepper spray on a group of people protesting the arrests of two people at Tolman High School the day before. 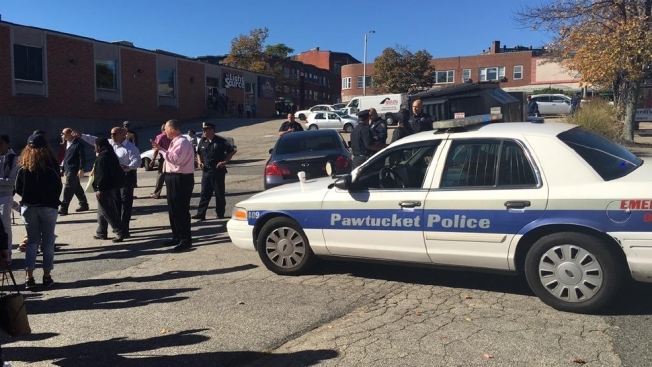 Police in Pawtucket, Rhode Island, said an officer used pepper spray Thursday on a group of people who were protesting the arrests of two people at a local high school the day before. According to WJAR-TV, eight young people and two adults were arrested outside City Hall. Thursday's protest came a day after the arrests of two juveniles at Tolman High School. Police said Wednesday's incident began when the school resource officer arrested a 14-year-old boy who was shouting obscenities and threatening to fight another student. The boy's older brother tried to intervene, pushing the school resource officer. At that point, police said the two boys attacked the school resource officer, with one of the boys hitting the officer in the face. Police said a small delegation of students was invited to City Hall on Thursday to discuss the incident. About 200 students joined in a protest outside that police said became unruly. The window of a police car was smashed, and police said some of the protesters began spitting at and threatening officers.